Located right at the heart of the Mediterranean Sea and some 95 km south of Sicily, Gozo is one of the three islands of Maltese archipelago. 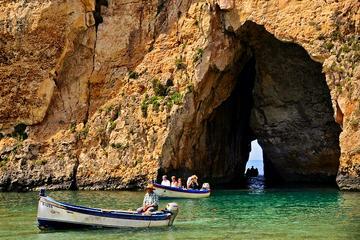 Compared to its sister Island Malta, Gozo is smaller, less-developed and more remote. Still, Gozo is a popular tourist destination, especially for more mature German and British couples as well as any other person who wants to experience the Gozo culture. With its sun-baked terraces, ancient citadels and byzantine churches, Gozo is the Mediterranean’s best kept secret. Is it easy to get to Gozo? Getting to Gozo, the second island of Malta, is indeed very easy and cheap, thanks to a very effective ferry transport. Once in Malta, it takes roughly an hour to get to Circewwa Harbor. Once in Circewwa Harbor, board a ferry to Gozo. This should take you 30 minutes and you are in Gozo. Once in Gozo, settle back and enjoy the warm Mediterranean atmosphere. What can I do in Gozo? Gozo has some of the clearest water, which makes it the spot to dive in the Mediterranean. Among the most impressive dive sites in Gozo is the Blue Hole. The underwater geography of Gozo is very interesting. Just book snorkeling and dive trips in Marsalforn. Some of the other popular dive sites include Billingshurst Cave, Fessej and Fungus Rock, San Dimitri Point, Double Arch Reef, IL-Kantra, Ghasri Valley and Crocodile Rock & Coral Cave. In the low season and outside the busiest months, hitchhiking is very easy here. In fact, it can lead you to unexpected interaction socially. 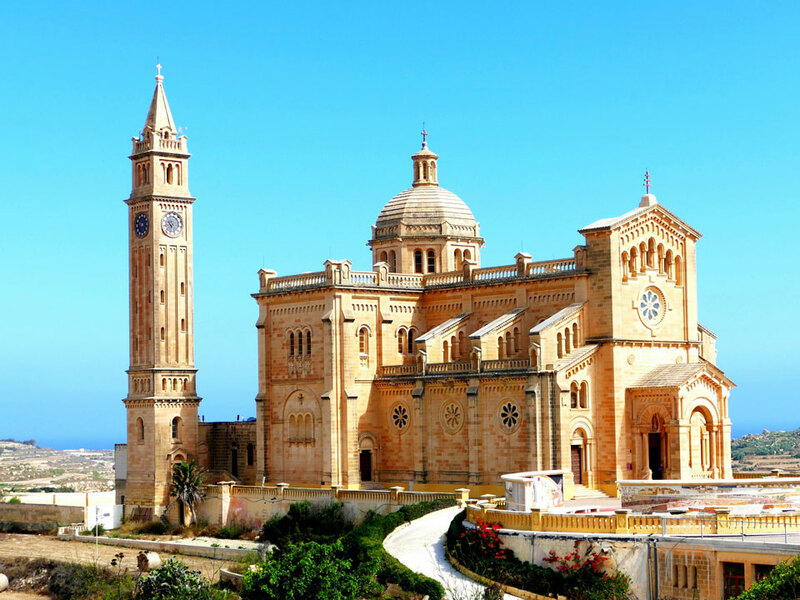 Gozo has some of the most breathtaking churches in the entire archipelago. The churches are located in Ta’Pinu, and even hosted Pope John Paul II way back in 1990. Some places you may want to visit include the National Shrine of the Blessed Virgin of Ta' Pinu and the Ġgantija Temples located in Xagħra. The archaeological sites date from around 3600 to 3200 BC. Also, in Xagħra is the Xagħra Stone Circle, it is an underground funerary complex first discovered around 1820. National Shrine of the Blessed Virgin of Ta' Pinu. Am I going to have to spend lots of money in Gozo? What's the cost of things there? The average cost of a meal at an inexpensive restaurant is €11 while a meal for two at a mid-range restaurant costs €50. A 500-ml bottle of domestic beer costs €2.50 while a 300ml bottle of imported beer will cost you €2. The cost of a 300ml bottle of water is €0.94, cappuccino costs €1.64 and a bottle of soda will set you back €1.35. The cost of a one way ticket local transport is €1.50. A monthly pass will cost you €26. The average cost of taxi (normal tariff) is €10. You can get a place to stay at for as low as €60, but expect to pay as much as €160 per night in some high-end hotels. Another option is a Gozo farmhouse, which cost about anywhere from €50 - €100 per night. Farmouses are kind of like a villa, but with rustic interior. What is the one place I must visit in Gozo? If you only have one day, you had better spend it on the Citadella of Rabat. Eat your lunch here, at a café next to the cathedral. You can spend your afternoon at either the Inland Sea or Ramla l-Hamra. Gozo has lots of attractions on offer, and you will need at least a full week to see all of the island's main attractions. What should I eat in Gozo? Being the bread basket of Malta, Gozo has more fertile lands. In other words, there are fresh produce at a price that is relatively cheaper. One thing you shouldn’t miss out on is Gozo’s cheese. Known locally as Gbejniet, this cheese is lovely especially when you have it fresh. Also, it’s nice when cured with vinegar and pepper. Other traditional Maltese dishes that you must definitely try are Lampuki pie, Rabbit Stew, Kapunata and Bragioli. If you like pastry, and who doesn't, then you should try Pastizz. It is a savoury pastry filled with ricotta or mushy peas. You should try their Prickly Pear Jam. 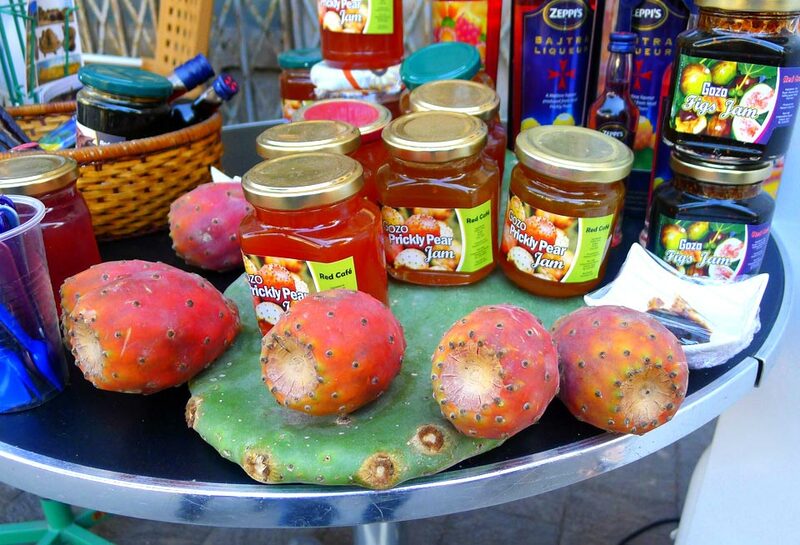 The prickly pear fruit, named because of its pear shape and size, is also used to make conserves and liqueurs. Like the jams, these can also be found in shops around the island. What are some of the beaches and bays in Gozo? Whether you are a windsurfer or a sunbather, Gozo has a beach for you. Pick from red sand, golden sand, blue lagoons, rocks and inland areas. While some bays and beaches are off the beaten track, they are still worth visiting because of their seclusion. Never miss a boat trip to the Blue Lagoon for the best in azure water. The larger beaches have snack bars and cafes which are open in summer. The Malta climate means that beach life extends well into October. Get immersed in water sports, jet and water skiing, windsurfing and fun rides. Equipment can be rented from nearby shops or beach cafes. The larger beaches and main coastal resorts are found in the northern area of Malta. 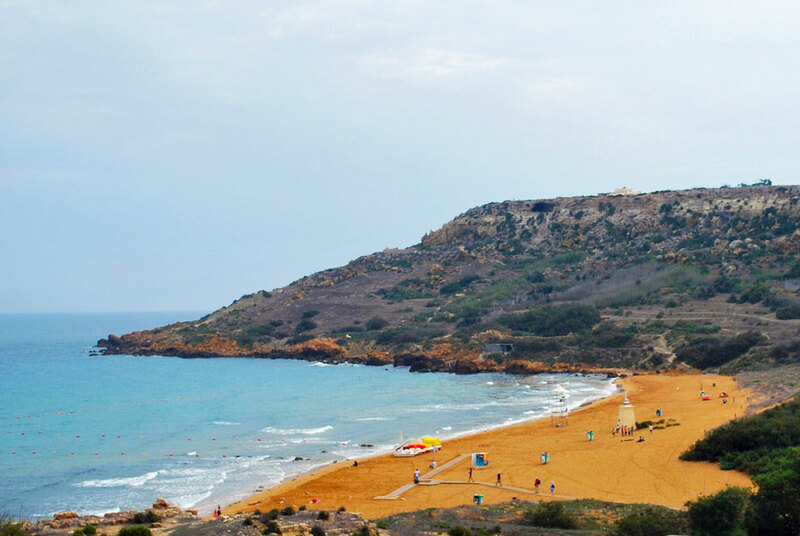 The most popular beaches in Gozo are Golden Bay, the beautiful Ramla I-Hamra. Gozo offers lots of rocky inlets with crystal-clear waters which are perfect for snorkeling. Azure Window is yet another beach in Gozo, and it offers great swimming with stunning views of the island. Together with the Dwejra area, Azure Window is among the most spectacular spots in Gozo. Unfortunately the arch collapsed in March 2017, but it is still an amazing place to visit. Other famous beaches and bays in Gozo include Hondoq ir-Rummien, Xlendi Bay, Marsalforn Bay, Dahlet-Qorrot Bay, and San Blas Bay. The beautiful Ramla I-Hamra beach. Are there any wineries in Gozo? Give me some info! Gozo may not be a renowned wine destination like other Mediterranean countries, but the vintages here have held their own at global competitions. In fact, they have won many accolades in Italy, France and further afield. The international grape varieties that are grown here include Merlot, Syrah, Cabernet Sauvignon, Chardonnay, Sauvignon Blanc, Moscato, Chenin Blanc and Grenache among others. There are also indigenous varieties like Ghirghentina and Gellewza, which produce some great wines of distinct flavor and body. There are two main wineries in Gozo and these are Tal-Massar Winery and Ta Mena winery. The latter produces a wide variety of D.O.K wines and I.G.T wines. Wine tasting sessions are held every week in the vineyards where clients get a chance to taste the wine and also interact with the winemaker. The wine tasting is also accompanied by typical Gozitan finger foods made exclusively for the occasion by none other than the winemaker’s wife. There are many exciting adventures you can do in Gozo and its surroundings. Check out some of these tours. 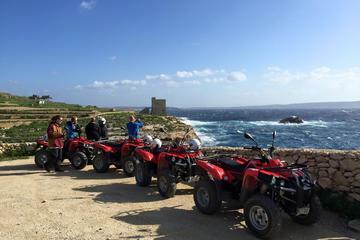 With this quad tour of Gozo, you can see points of interest along rugged roads that would be impossible to reach by coach or minibus. On this full-day tour, you'll be picked up from your hotel and after a 20-minute ferry crossing arrive on the island of Gozo. 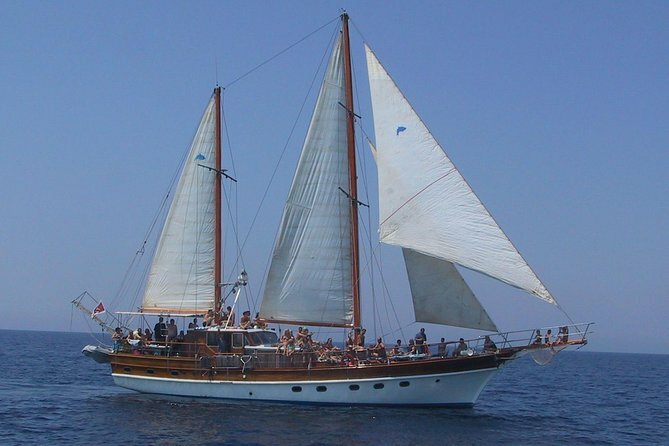 This is a unique 7-hour round-trip sailing adventure, visiting the three islands of Malta, Gozo and Comino, with stops for swimming and snorkelling. With a coastline stretching 45 kilometers, pristine sea and nature, warm seas, gentle country walks and quiet shallow sandy coves, Gozo are the ultimate tourist destination. And if you want to stretch yourself, Gozo has a lot of things to offer. The outstanding underwater visibility, abundant sea life and warm water imply that divers are literally spoilt for choice. It has more than fifty dive spots, and some of these are rated as among the best in the whole of the Mediterranean.